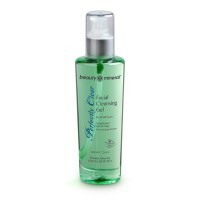 Beauty Mineral Facial Cleansing Gel is rich in natural minerals from the Dead Sea. Thoroughly cleans skin while nurturing it for a healthier look. Removes dirt, excess oil and exfoliates dead skin cells for a smoother feel. Keep the skin natural PH. Suitable for all skin types. 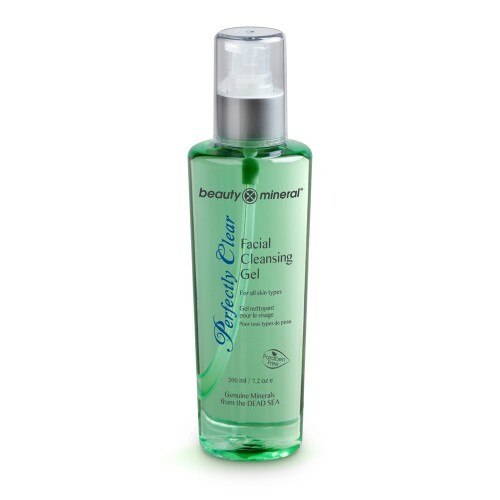 Beauty Mineral Facial Cleansing Gel is rich in natural minerals from the Dead Sea. This highly effective gel contains Chamomile, Vitamin E and Dunaliella Salina Algae to keep the skin's natural moisture balance. Thoroughly cleans skin while nurturing it for a healthier look. Removes dirt, excess oil and exfoliates dead skin cells for a smoother feel. Keep the skin natural PH. Suitable for all skin types. Directions: Gently massage onto wet face. Rinse with lukewarm water. For daily use.Paraben Free.Mineral Oil Free. I use makeup every single day, once I tried this one I Couldn't stop using it! even on a Sunday night when i'm not wearing makeup! Dunaliella salina, a natural anti-aging ingredient in Beauty Mineral Rejuvenation Complex products, is an algae species exclusive to the Dead Sea. This unique component contains an extraordinary amount of beta-carotene, an anti-oxidant that becomes converted to retinol (vitamin A) in the body and aids in the rejuvenation and improvement of skin cells, the prevention of wrinkles and the maintenance of skin suppleness. As an alga that is found in the Dead Sea, Dunaliella salina also contains many of the beneficial minerals found in its rich habitat including magnesium, iodine, calcium, potassium and glycerin. 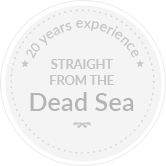 The natural properties of this beta-carotene enriched algae and its beneficial ecological attributes found in the minerals of the Dead Sea effectively work together to protect the body from harmful free radicals by reducing their damaging effects to the skin’s cells and tissues. Specifically selected for the Rejuvenation Complex cosmetic line by Beauty Mineral’s Research and Development Department, Dunaliella salina protects and revives your sensitive skin, leaving it feeling healthy and appearing refreshed.